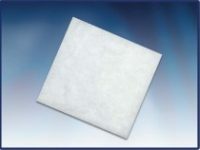 eXsorb pad is primary wound dressings made of blend of superabsorbent acrylic fibers and viscose fibers, thermally laminated to a low adherent transparent PE net. 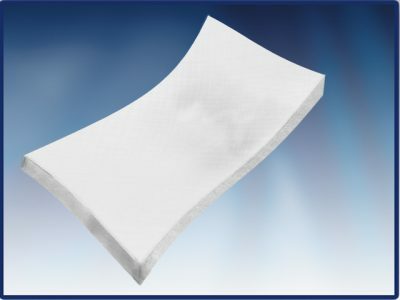 eXsorb pad is highly absorbent pad ideal for heavily exuding acute and chronic wounds, e.g leg ulcers, pressure areas, donor sites and most other granulating wounds; also used as a pressure pad to stop bleeding. Wounds that show signs of clinical infection may be dressed with eXsorb pad but the dressing should be changed daily and the use of systemic antibiotic therapy considered. The dressing should not be used on patients with a known sensitivity to this dressing or one of its components.